The Opal 4ft 6in Double Divan Bed in White Damask is a generously upholstered bed with multiple layers of non allergenic, polyester soft fillings. Divan Base mostly comes in two horizontal split halves. 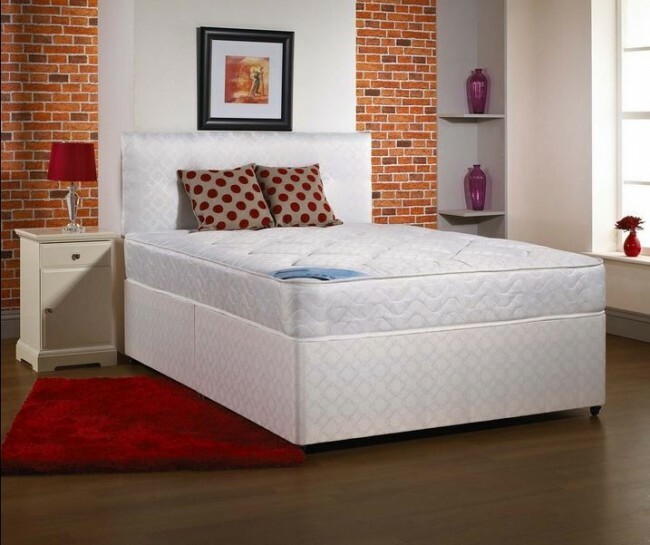 The divan base comes with easy glide castors and attachments for the headboard.